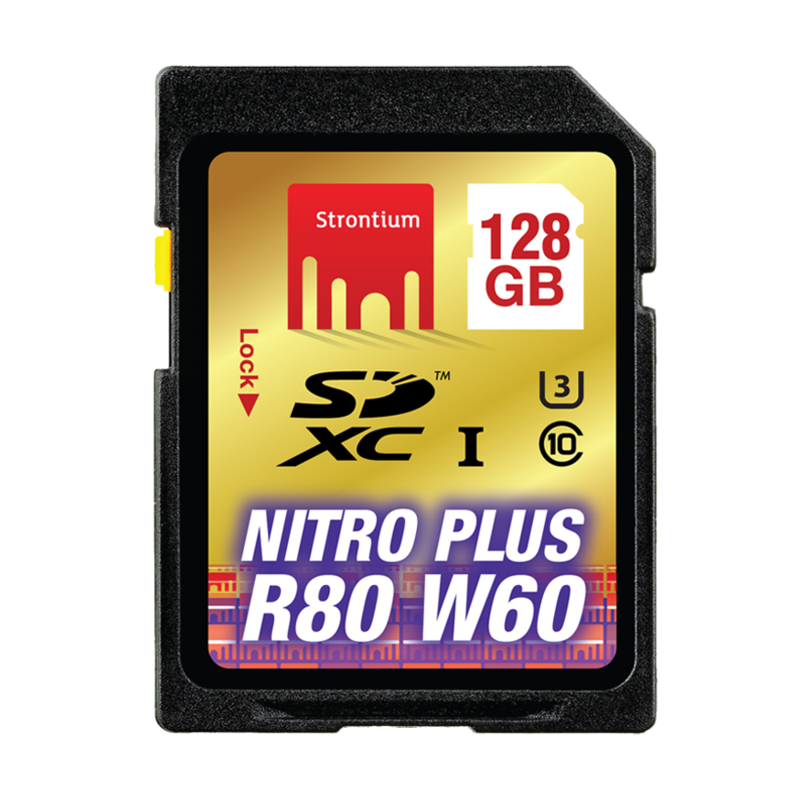 The range of Strontium Nitro & Nitro Plus series SD memory card for cameras are best suited for leading variety of DSLR cameras which include storage capacities of 16GB to 128GB. The Strontium Nitro series SD card provides a reliable storage for your valuable memories, compatible with all the latest and legacy cameras. Delivers 1080P full HD video and photos capturing & playback with its cutting-edge performance and reliability. 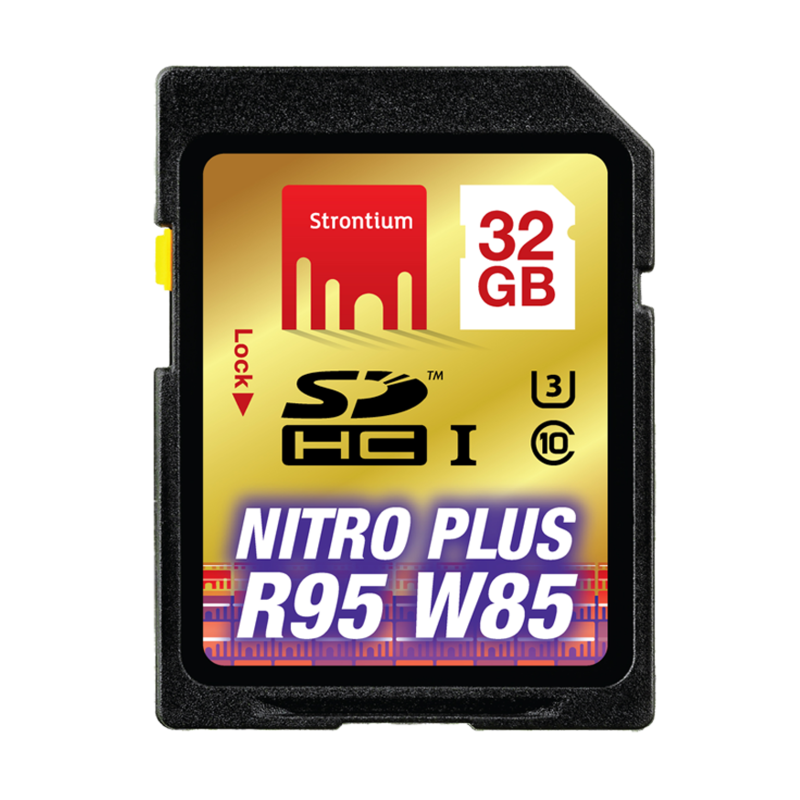 Strontium Nitro Plus series of SD memory card delivers professional grade performance and durability. 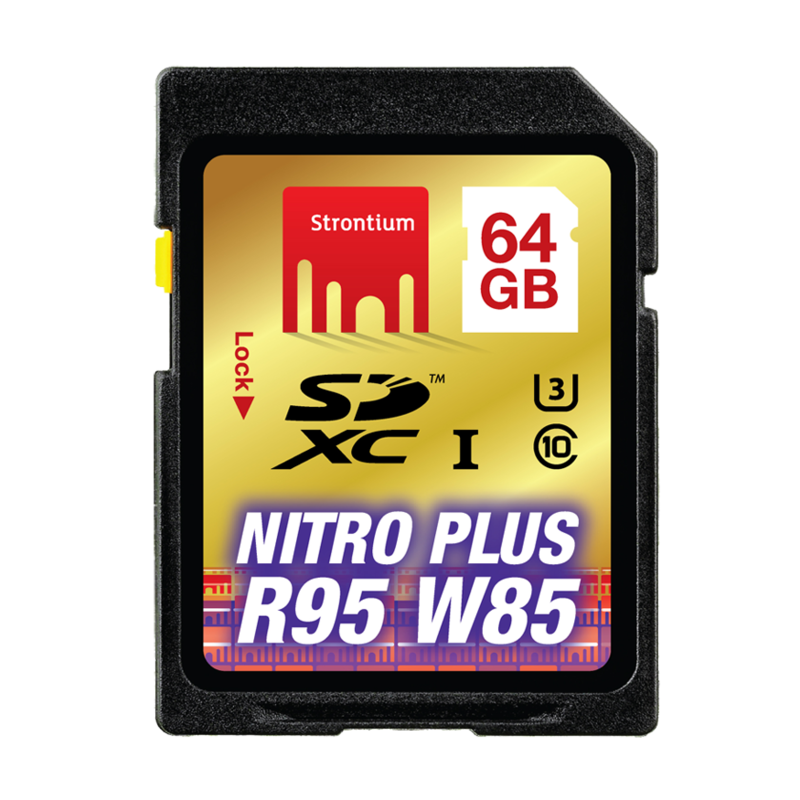 Compatible with wide range of DSLR and professional grade cameras. It takes your 4K experience to a whole new level. 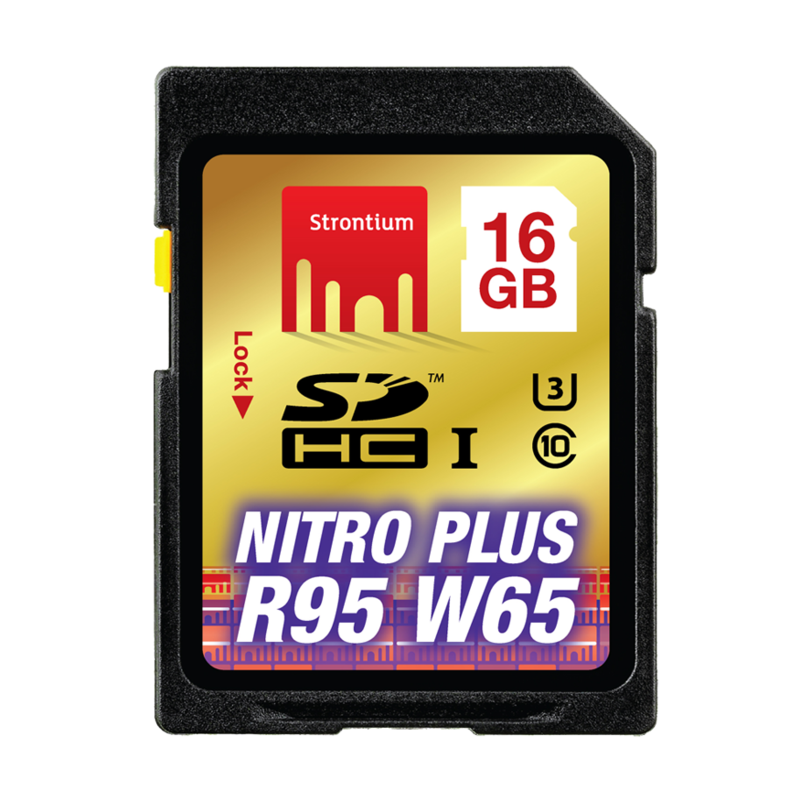 Both Strontium Nitro & Nitro Plus series of SD memory cards are designed for extreme working conditions against water, shock, magnet & x-ray. 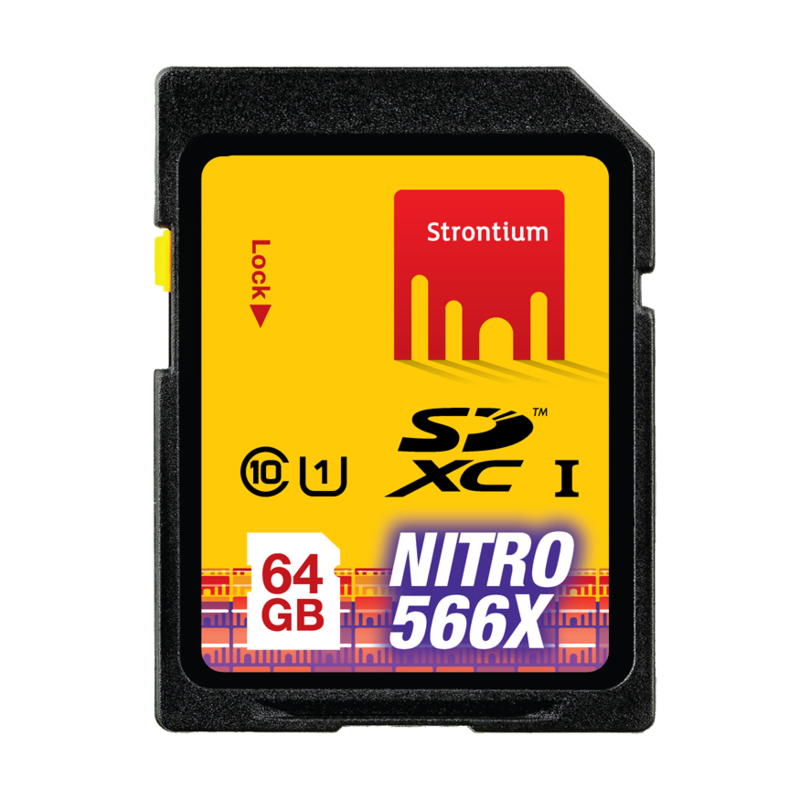 With Strontium’s latest 4-Proof Technology, your valuable data are always in the safe hands. Strontium® NITRO series UHS-I SDHC/XC memory cards are an outstanding choice for 4K ultra HD** video and high-resolution photo devices such as DSLR, mirrorless or 3D camera. It is available from 16GB-128GB capacities. Bring 4K Ultra HD Entertainment Alive with NITRO PLUS. Strontium NITRO PLUS range of SDHC/SDXC flash cards adopt the SD Association’s latest specification release, UHS-1 U3 (Ultra High-Speed Bus, Speed Class 3), which allows tremendous improvement in write speeds of at least 30MB/s to capture and playback 4K2K high-quality video recordings seamlessly. 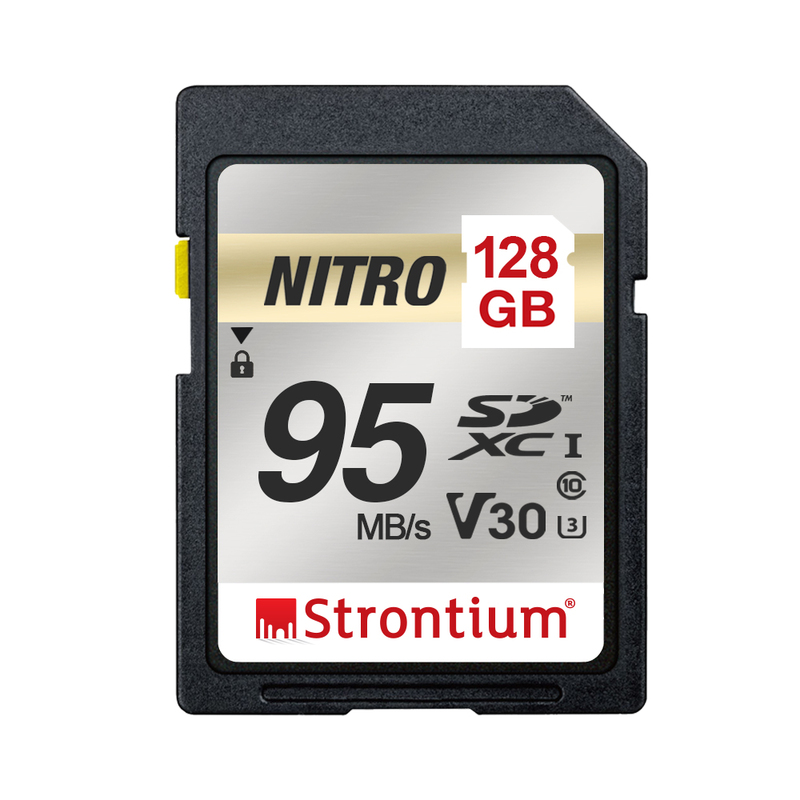 It is widely available from 16GB to 128GB capacities.